Germany-headquartered materials supplier Covestro has now manufactured the first polyurethane rotor blade for wind turbines in Asia. 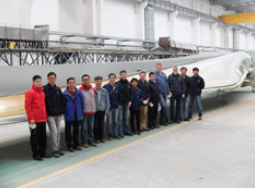 The 37.5 m-long rotor blade, which is designed for a wind turbine with an output of 1.5 megawatts, was fabricated with a special polyurethane infusion resin from Covestro and glass fibre mats from Chongqing Polycomp International (CPIC), a leading Chinese glass fibre manufacturer at the Shanghai FRP Research Institute. A vacuum pressure infusion system with continuous degassing, developed by process technology specialist HÜBERS, was used to produce the rotor blade. Kim Klausen, global head of the Wind Energy Program at Covestro, is much pleased with this new milestone: “It's further proof of the performance and cost advantages of polyurethanes over epoxy resins in wind power generation.” The polyurethane resin has very good physical properties, an excellent flowability and it thoroughly wets the glass fibres. 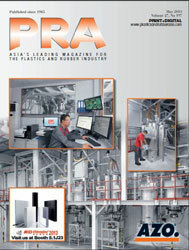 Furthermore, less thermal energy is released during its processing than with epoxy resins. 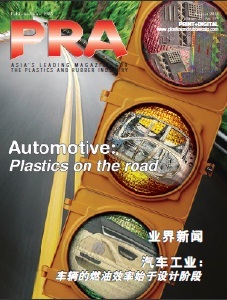 “The faster curing significantly improves productivity,” says Kim Klausen, “and that gives manufacturers a major cost advantage.” The resin was developed in close collaboration between the Covestro Wind Competence Centre in Denmark and the Polymer Research Development Center (PRDC) of Covestro in Shanghai. Covestro researcher Dr. Chenxi Zhang recently presented the new development at the China Summit Forum 2016 for International Wind Power Composite Materials in Zhejiang. He explained to the more than 500 wind power experts the advantages of the polyurethane system and the progress Covestro has made working together with glass fibre suppliers, process engineering partners and rotor blade manufacturers. In the latest report on the Chinese government's progress, Prime Minister Keqiang Li called for a higher percentage of clean energy, a move that would encourage the further expansion of wind power systems in China. In this year alone, China is expected to add more than 30 gigawatts to its installed wind power capacity.